Energy Minister Yuval Steinitz says he 'loves tradition,' but refuses to give up chametz on Passover. 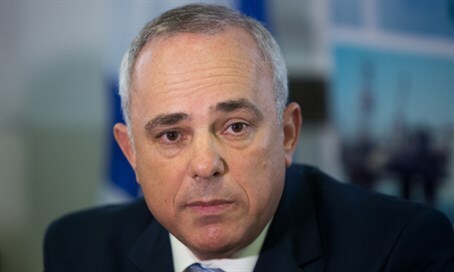 Energy Minister MK Yuval Steinitz (Likud) caused an uproar Saturday, after admitting in public that he ate chametz (leaven - ed.) on Passover. "I am not observant, I love the tradition, but I do not keep from eating bread on Passover," Steinitz stated, speaking at a cultural event in Holon. The great majority of Israelis observe the basic rituals of Passover - with 87% of secular Israelis, 97% of traditional Israelis, 99% of religious-Zionists and 100% of haredi Israelis attending a seder, according to a March Pew Research Center poll. Moreover, most Israelis are sensitive to the directive not to eat chametz. 59% of Israelis of all religious sects in a Panels poll in 2012 said they do not eat chametz at all during the weeklong holiday; 32% would not eat it in public even though they might in private. Respect for the observance is even built into the Israeli legal system, with the sale of chametz banned throughout the week as part of the so-called Chametz Law.